Although we received great interest in swapit at our pitch events, we achieved mixed “pitch results”. Let’s go through them one by one. After rocking the CoCoon Pitch Semi-Finals, we thought we stood a chance at one of the 3 places in the finals. It seems the judges at that event thought differently. Which led us to think that we obviously were not able to communicate our vision to them properly. I am absolutely convinced that if we had done it properly, there would not have been any reason not to award us. 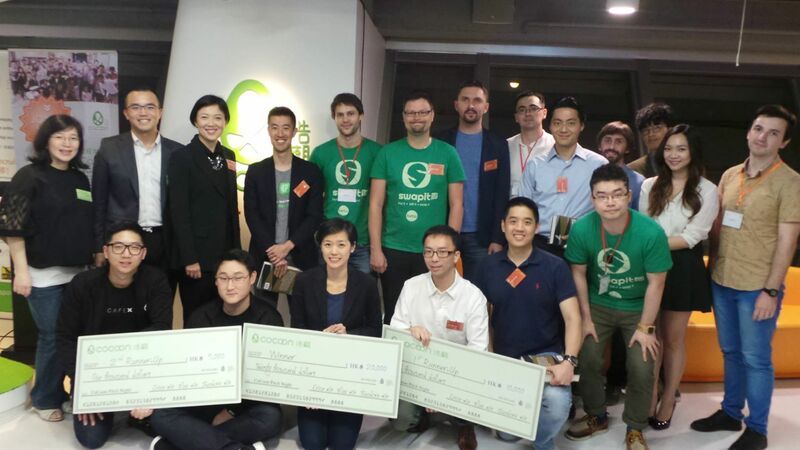 Don’t get me wrong, the winners had interesting concepts and I am happy for them, but I strongly believe swapit is by far the best startup at its stage in Hong Kong right now. Of course, I have to say that, I want to say that and I am standing by that. Even though we didn’t win, we gained in other ways. First off, our pitch obviously needs improvement, so we gained in experience. We were also able to talk to some of our existing beta users (who came to support us – thanks a lot!) in a casual environment face-to-face. That was very important to me, as it helps us to build a product that fits exactly to our users’ expectations. We were also able to recruit some new beta users, which is essential for swapit’s future progress. Furthermore, we were able to establish and strengthen relations with potential investors, which we might reach out to when we are raising funds to further accelerate our growth. We also pitched at the E2 Tech meets Social Day 2015, which was organized by Incu-Lab and was held at the InnoCentre in Kowloon Tong. Even though one of the main themes at the event was poverty alleviation and swapit didn’t quite fit into that bracket, we were able to demonstrate how swapit could contribute to society in this respect. In very simple terms we believe swapit can encourage Hong Kong people to consume less new products and re-use existing second hand products, thus reducing the amount of waste produced in Hong Kong. Even if such use of swapit would only account for a 1% reduction in waste, Hong Kong would produce 150 tons less waste per day. In the end, swapit won the “Best Interface Design Award”, which is absolutely great. It does prove that our design-driven approach is valid and appreciated by the community. This pitch event at Swire’s co-working / accelerator space was interesting as well. It was a challenge to pitch the very local concept of buying and selling second-hand items (which is absolutely normal in Hong Kong, but has its very own flavor here) to two judges, who have lived in Hong Kong for only one year or less. Hence, some of my arguments for swapit were not recognized here in the same way they were at other events where the judges had a better understanding of the local market. However, this taught us that we should do a bit more homework before such events, and to adjust our pitch to the backgrounds of the judges we face. A simple example I recall from that pitch (which in fact could’ve been done much better by me) is: My slide #3 is usually a person trading items over-the-rail at a Hong Kong MTR (subway) station. Usually, the crowd and judges smile when I put the slide on, because everyone has seen that situation hundreds of times and everyone knows exactly what I am talking about. At this pitch, only the audience gave me that smile and the judges were expressionless. Again, it was absolutely our fault for not preparing ourselves for that situation, and being able to cope with that. This just goes to show that we – as in mankind – are always learning, and for us at swapit, our recent experiences motivate us to continue to improve, and to make sure to achieve the right result. No matter what the audience and judge we face. In the end, we were also able to recruit some new beta users for swapit, which in itself is a success for us. It was also great to catch up with my old friend Alan, who used to work at BlackBerry and is now at Braintree / PayPal (an Echelon sponsor), which offers some great payment integration for mobile applications. I will definitely keep that in mind when we integrate payment into swapit! Furthermore, the event was beneficial, as I was able to connect with other potential investors and some of our fellow contestants. Exchanging ideas, approaches and thoughts about each other’s markets and products is refreshing and inspiring at the same time. We will definitely be pitching again, so stay tuned and we’ll let you know where you can catch us! 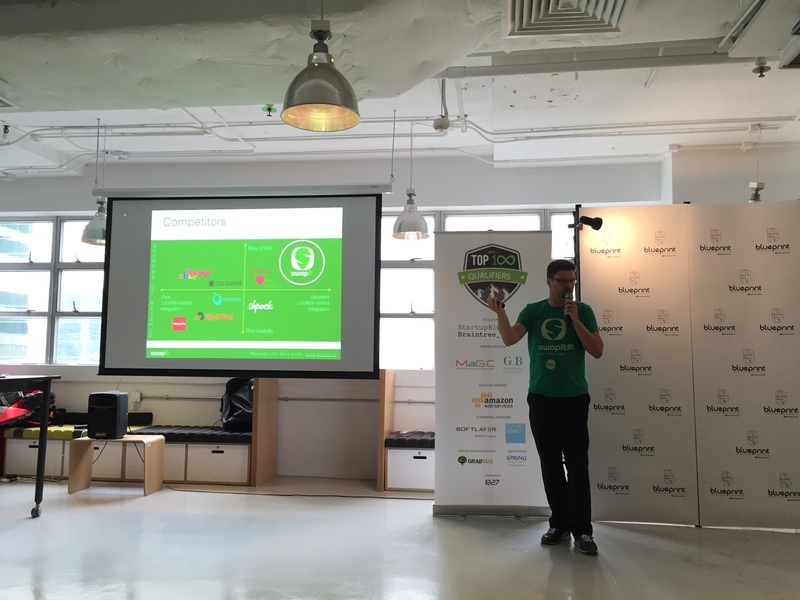 This morning the swapit team was invited to present swapit to a group of judges at the Hong Kong ICT Awards 2015 – Best Mobile Apps Award. Earlier in January, we have submitted swapit to the awards because we feel we can make difference in Hong Kong’s mobile consumer market. We chose to submit our application i the Consumer and Lifestyle Solutions award stream because that is the field we are uniquely positioned in with our location-based consumer-to-consumer trading platform. We at swapit were really excited about this opportunity and we hope we could convince the judges of our vision.